Fall 2014 marked the “kick off” of PSE50, a multi-year celebration of the 50th an­niversary of PSE at UMass. In 1966, the graduate pro­gram in Polymer Science and Engineering was officially started, with Roger Porter appointed as its head and the first class of doctoral students admitted (see Prof. Bill MacKnight’s historical retrospective here)​. 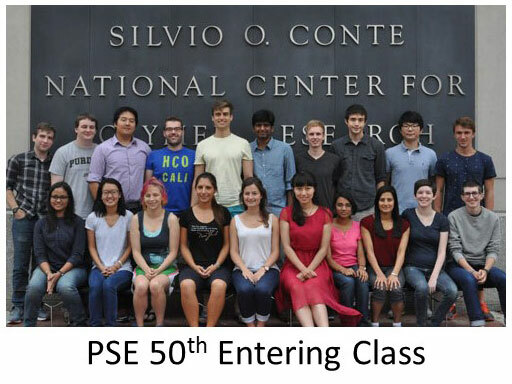 During the 50th academic year of the program (Fall 2015-Spring 2016), PSE50 events will celebrate the founding and evolution of the program, the important scientific and technological achievements of its alumni and faculty, and the long-term impact the program has had on interdisciplinary education in polymeric mate­rials. The culmination of these events will be the PSE50 Reunion on May 12-13, 2016, a two day gathering in Amherst of current and former students, postdocs and faculty of PSE. Further details about this reunion and other PSE50 events will soon be released. An up to date calendar of events will be maintained on this site, so please check back in coming months! Another key component of the 50th anniversary celebration is the 3-year PSE50 Campaign. This campaign asks alums to renew their connections to current and future generations of PSE students through sustainable contributions that support 1st-year stipends. Each year, the support of 1st-year students remains, by far, the largest expense on the departmental budget. This guaranteed support is as vital to a rigorous training in polymeric materials today as it was in your time be­cause it allows 1st-year students to focus exclusively on coursework and cumulative exam preparation, without the responsibilities of a TA- or RA-ship. We thank everyone who has donated to the PSE50 so far, and we look forward to your sustained support of the PSE mission to come. Your generous support provides direct and critical support to students who are following in your footsteps. Please use this link to a secure PSE50 online giving form. A preliminary listing of PSE50 events is included below. These and other upcoming PSE50 events will be updated, so be sure to check back for details. 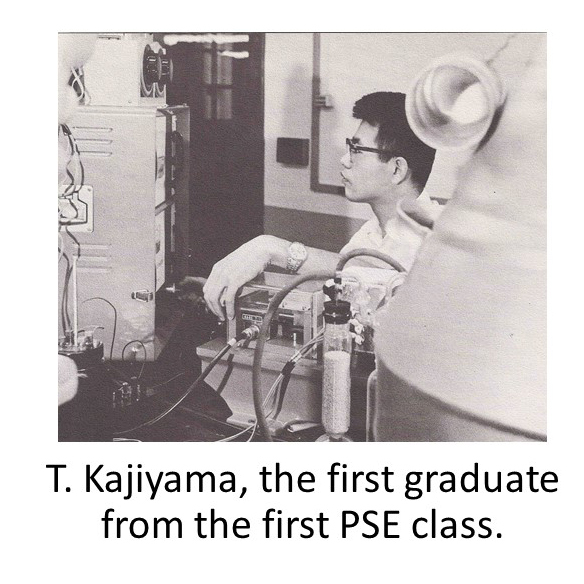 “Celebrating 50 years of Polymer Science & Engineering," a two-day scientific symposium and PSE50 dinner reception at 2015 ACS Fall Meeting, Boston.